Most of you would be shocked to see the title of this post that Peoples Party will win the 2013 Elections of Pakistan. Well its my point of view and there is a reason for that. Historically Punjab is the base of Muslim League N while for Peoples Party Sindh is the Base. in other provinces these parties gets some seats but their main power are Punjab and Sindh respectively. In the present Situation we are seeing a new Player PTI Pakistan Tehreek Insaf emerging as a strong party that can give very tough time to Muslim League N in Punjab. But PTI also don't have so much strong candidates that they can sweep the elections in Punjab so i believe that the seats in Punjab will get divided between N League and PTI. PTI is not much popular in Sindh. however it will get some seats in KP and Balochistan. In Sindh PPP will once again will be able to get majority. 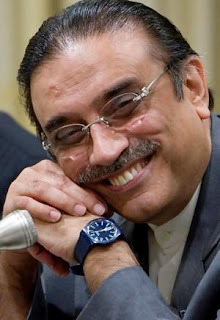 so ultimately i am seeing that PPP Win the coming elections of 2013 again. the only way to stop it is alliance between N League and PTI which seems very impossible at this time.